Because we are the best! We are a family owned and operated Auto Collision Center located in Richmond. 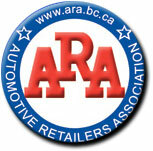 We proudly serve the Greater Vancouver area. Our helpful staff is trained to know the personal difficulties and hassles which accompany an accident or unforeseen mechanical issue with your vehicle. Copyright© 2019 Tristar Collision Inc. All rights reserved.